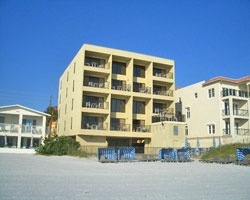 You'll love the tropical climate of *Island Gulf Resort* located on the Gulf of Mexico in Madiera Beach. 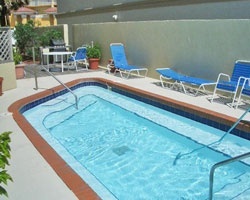 Spend your days lounging on the beach or soothe your muscles in the warmth of the hot tub. You won't find a better location due to the small beach community atmosphere with the family fun of the Tampa Bay and St. Petersburg areas nearby. The many local attractions include Busch Gardens, Adventure Island, Lowry Park Zoo and the Tampa Bay Aquarium. Orlando is only a day trip away for even more excitement. For a wonderful and memorable vacation, come to the Island Gulf Resort! Enjoy week 42 every year in Florida! Motivated seller, willing to negotiate! Buyer May Receive A Title Fee Credit, Inquire For Details!